Enjoyed a one night stay at Radisson Blu Bucharest last weekend. Had checked the hotel’s public areas on a previous trip and was overwhelmed by the impressive Bla lobby bar. I stayed on a Family and Friends rate (see Bucharest planning for details) which was 80 euro per night including breakfast for two and a 25% discount at the all-day-restaurant Caffe Citta. 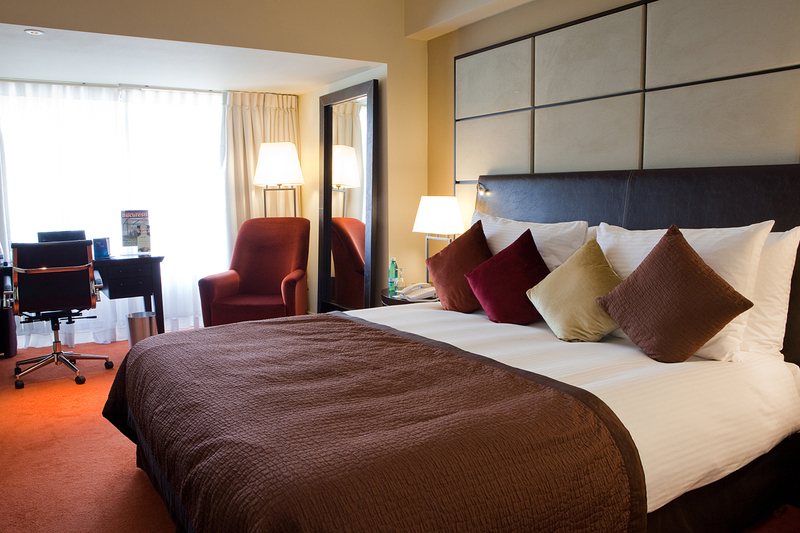 Picture: My (small) King Size room at Radisson Blu Bucharest. Overall, I was very impressed by this hotel, both infrastructure and service wise. Modern high quality interior design and well trained friendly staff. No wonder this hotel is rated #1 for business (and #2 for leisure) on Tripadvisor.